"The droolworthy Chanel purses cost $480 per month to rent, and in the end that money doesn't even go toward owning the bag! If you're going to pay that much to just wear a purse for a month, maybe it's time to consider buying a less expensive purse with that money instead. Trust me, if your budget is $480, there are a lot of really nice options out there." In a narcissistic fit of curiosity, I reflected on my own statement and wondered, are there a lot of really nice options out there? Hell yeah!! A couple hours of searching yielded so many great, stylish, luxe-looking bags that I had to split my search results into a two-parter. Today's post consists of all the bags that are under $100, and tomorrow's post will feature the pricier options. 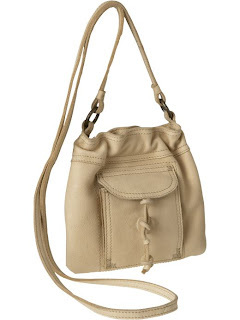 Women's leather mini cross-body bag from Old Navy, $24.50. This is the cheapest bag out of the ones I found, and it's 100% leather. I like the simplistic and casual design; it'd be great for carrying a couple of essentials for a summer stroll along the Stanley Park seawall and an ice cream pit stop. Shadow large clutch from Guess, $49.23. Indulge in the ombre trend and oversized clutch trend with one item. The black, white, and gray tones and the subtle hardware touches make this bag an easy transition piece to be worn in future seasons. Pair the clutch with this season's bright colour-block tunics and dresses, or with a classic black-on-white ensemble to inject a bit of sassiness into a tried-and-true look. Malegno bag from Aldo, $50. Clean lines, neutral colours, warm brown leather accents, and gold hardware make this bag an easy choice for everyday wear in every season. Teverola clutch from Aldo, $50. 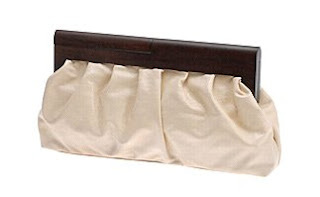 I love the warmth of the wooden clasp/handle and the bone-coloured fabric on this roomy clutch. The pleats dress it up enough to make it suitable for evening margaritas on a patio somewhere. 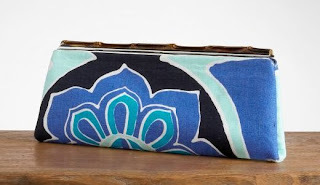 Skinny printed clutch from Banana Republic, $59. So far I've been picking out neutral, relatively classic bags, so I guess it's high time for a really fun colourful clutch to join the ranks! This is a great alternative to the Teverola clutch for playing off summery blues and greens in your outfit, or for punching up a neutral ensemble. 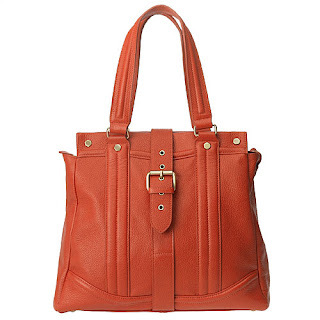 Classic leather tote from Nine West, $64.99. 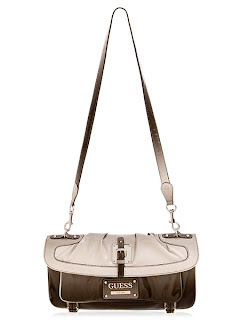 This bag is all-leather and an incredible bargain because it's marked down from $175! If orange isn't your thing, it also comes in black, brown, and white. Terrific work tote for the office; get your hands on one while you can! 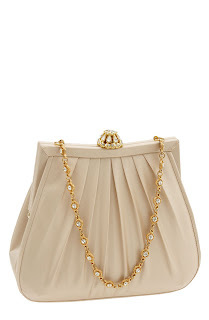 Pleated silk frame clutch from Nordstrom, $88. I love the luxe princess vibe of this clutch and how its lines are reminiscent of Alexander McQueen's 'Elvie' bag. This clutch would look right at home on the arm of a grand duchess in a Romanov dynasty family portrait. Great post! All those bags are absolutely lovely. 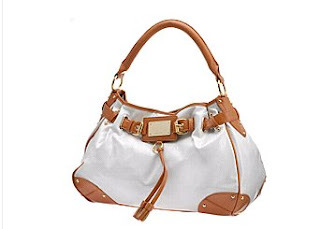 I'm a bit skeptical about the Aldo bags though - they aren't always as nice in person! Sadly, that beautiful flowered Vernante purse was very different in the store; it was huge and honestly kindof cheap looking. I did see the clutch you feature though, and that was actually quite nice.